Everyone who is anyone in digital marketing is talking about responsive web design. But, whether you love it or hate it, responsive design is going main-stream in 2013. So let’s talk about the what, the why, the how & the who of responsive design and how a Brightfox Smart Site can get you ahead of the game. What . . . is responsive web design? So in layman’s terms, a responsively designed website will recognise what device you are using, like an iPad or iPhone, and will adapt itself to best suit the device. What this means is that you can live in comfort knowing that every one of your website’s visitors is having the optimum viewing experience no matter what devise they use. Why . . . is responsive design becoming so important? With the explosion of Tablets and Smart Phones all over the world we have seen a major shift in how people access websites. For the first 15 years of the Internet as we know it, everyone used a PC to view websites. But that is all changing now. In fact it is becoming increasingly the norm to access websites on your Tablet and/or Smart Phone. • 61% of smartphone users are accessing the internet daily. • In Australia alone 76% of people own a smartphone and 38% own a tablet device. So the next stage of evolution of website access is already being dominated by use of Tablets and Smart Phones as opposed to the use of PC’s. The significance of this to the development of a successful website is quite profound. Just one of the surprising (or could we say alarming) statistics is that on average 61% of mobile visitors to a non-friendly website bounce, that is to say they never travel past the homepage. If we look at our own website you can quickly see the negative impact that having a non-responsively designed website has. Looking at our own website’s analytics we found that 20% of our visitors came from mobile devices and that a whopping 57.73% were bouncing. That’s 72 potential customers we lost in a single month! Simple math says that if we converted 20% of these bounces into leads we would have 19 new prospects and if only one of those prospects made a purchase from us, I’d say that the money we invested into our new responsive Brightfox website was money well spent! How do figures like this stack up in your business? How . . . does responsive web design work? The process that determine the device being used and its screen size and resolution. The word ‘Grid’ is used a bit freely to describe this element, but effectively it is code used to determine the position and layout of the content based on the device detected by the media queries. The flexibility of this is done not in traditional pixels instead in percentages to provide relative sizing based on the device. This feature allows you to adapt your images or other media to load differently depending on the device, either by scaling, cropping or using an alternative (perhaps smaller size) file. Who . . . should be utililising responsive web design? With the speed at which mobile devices are being adopted all over the world, a responsive design will ensure that your website stays ahead of the browsing trend. Now not everyone can justify the additional expense involved, but if you are in a selling or service industry where your clients are typically on the road or away from a traditional PC, then a responsive design is an absolute. Two of the best industry examples are automotive and property. With clients on the road constantly inspecting and investigating potential purchases, Tablets and Smartphones have become key tools in the consumer search. In fact, according to realestate.com.au over 34% of all visits to their site came from mobile devices (and this does not take into account their iOS and Android apps). We suggest you do some simple math yourself. In the case of a property development, lets consider a traditional weekend advertising campaign with a full page ad in a national paper. Lets say for arguments sake that this costs $20,000. If this advertisement was to generate 40 leads, one would say the cost of lead generation would be $500 per lead. A large number of these potential leads will immediately visit your website for further information or to register their further interest. Lets assume 50% visit the website rather than pick up the phone to call or visit the display suite. If we use the above statics (61% bounce rate for mobile users visiting a non-friendly website) we can say that 12 potential leads will be lost (61% of 20 leads), with a direct cost of lost leads of $6,000. Of course the true cost is vastly higher than this as the potential revenue that could be earned from each prospect is greater than the lead generation cost. Nevertheless, this example does show the immediate and direct cost to a business through having a poorly designed and developed website. Are you maximising your cost of enquiry and can you afford to lose this business? We encourage you to visit the Brightfox website on a range of different devices so you can truly experience what a responsively designed website is. 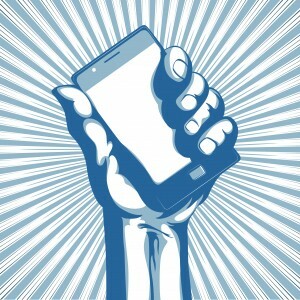 You will find the experience quite different, but far more rewarding on each device. To ensure that all of our customers can similarly start developing responsive websites, we have launched a new product call Smart Sites. This is a single high powered content management system that is coupled with a responsively designed website which seamlessly delivers a website suited to every device, all with minimal technical and administrative input. Please visit our website or call Brightfox on 07 3177 0505 today to find out more. Anyone reading our Blog (or those of you who talk to us directly) will know that we have been saying for a long time now that everyone needs to build a smart phone optimised website – well everyone that is that is in the retail space in any event. Smart-phone usage continues to rise as a very impressive rate, and yet we don’t need to see any statistics to confirm this phenomenon. You only need to look around at your home, your workplace or take a walk down any street and you can easily see that almost everyone these days seems to have a smart-phone – and to be constantly using it. 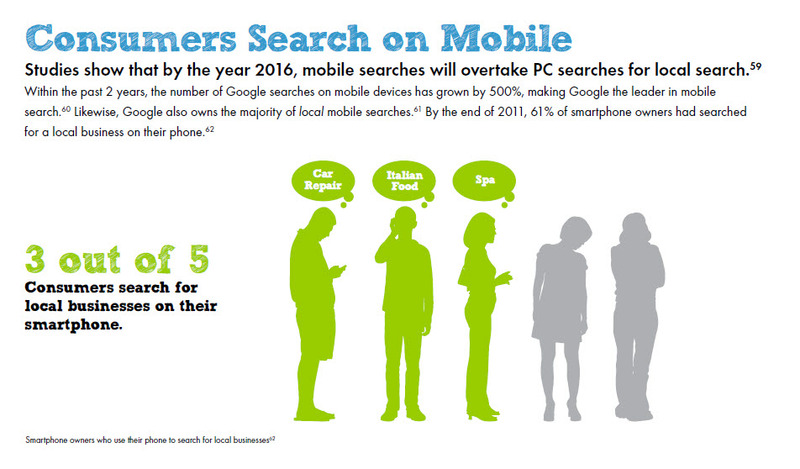 By 2016 more searches will occur on smartphones than on PC’s. By that stage the ‘horse will have bolted’ so to speak. The opportunity exists now to easily grab eyeballs for your business simply through developing a coherent smartphone strategy. By virtue of the large % of business still not recognising the need to have a smartphone enabled website and web strategy, there is a real opportunity for businesses to take market share from their competitors in this space. It simply requires a willingness to move, sound strategy and ultimately commitment to the mobile space. And I guess this is where the difficulty presents itself to most businesses as it is another website, another strategy and accordingly, another expense. Difficult yes, time consuming yes, an added cost yes, but we would say that the time to ignore it has past! Brightfox today announce the launch of a new service called R.E.Mobile to build websites compatable with and optimised for viewing over mobile phones. The new R.E.Mobile service makes it very easy and cost effective for any property firm to quickly create a full mobile compatable website within weeks. Brightfox will take the existing content, including dynamic listing data for real estate offices, and build a searchable mobile friendly site that will enable the millions of mobile phone users to visit and search for properties or projects.